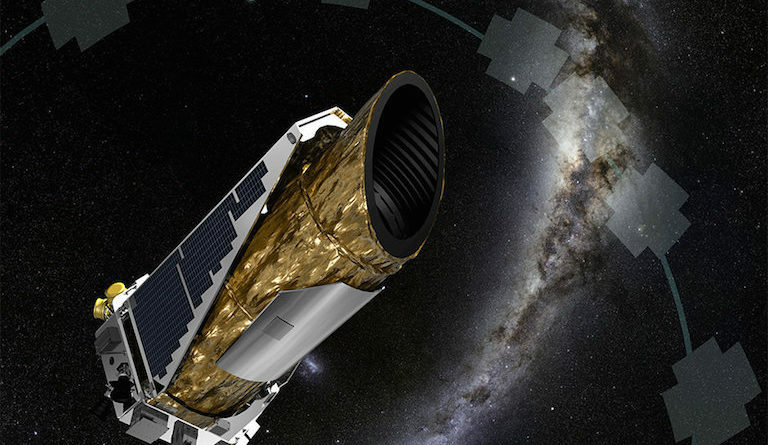 After nine and a half years of operation and the discovery of 2600 planets, NASA’s planet-hunter, the Kepler space telescope, reached the end of its service. Because of fuel exhaustion, final commands were sent to the telescope on November 15th, cutting off all communication with Earth. Although this is sad news, there is much to be happy about, since Kepler made some pretty stellar findings. The telescope’s findings have greatly broadened our comprehension of planets outside of our solar system. Prior to the launch of Kepler in 2009, most of the exoplanets known to us where the size of Jupiter, and there was only a mere 350 of them. The Kepler’s extremely high sensitivity allowed for the detection of much smaller planets than ever before. Kepler discovered planets with lakes of molten rock, planets with more than one star, and planets with twice the age of Earth’s, from the beginning of the formation of our galaxy. The Kepler also located dozens of small, rocky worlds orbiting within the goldilocks zone of their stars, the distance to a star where water can exist in the form of liquid. These planet’s conditions give them the possibility to foster life. “Searching for life elsewhere is one of the key themes that drives our science portfolio” shares Thomas Zurbuchen, administrator for science at NASA, “and at the center of that is Kepler”. The termination of this telescope does not indicate an end in the search for other planets. Present and future missions like TESS, the Transiting Exoplanet Survey Satellite launched earlier this year, and the James Webb space telescope planned to be launched by 2021, will continue Kepler’s legacy.